FC Barcelona sporting director. Go-to guy for news on club signings and contract information. Professional creeper on future talent. 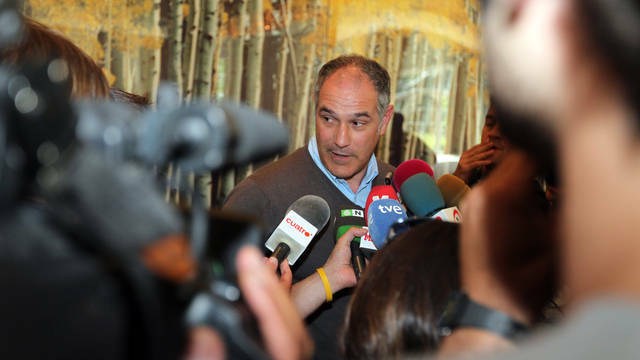 This is how the current generation of culés see Andoni Zubizarreta, as a man behind a desk, or a microphone, speaking about a club so dear to all of us. But this is only a small portion of the larger portrait of a legend, of a man who has given his everything to two clubs and his country. Zubi is a myth to be cherished and never forgotten. ,In my previous entry last week, I posted a link to a video which had Maxwell speaking English on the Australian football-talk show The World Game. This week's episode, Craig Foster (the big-name Aussie football guy) spoke to Guillermo Amor and Andoni Zubizarreta about Barcelona's youth system. This time, the only English was from Fozz's side, but there are subtitles! Come see the interview right here!